I’ve been knitting for over 25 years, and I still find the simplest stitches that I’ve never seen before. I came across the hurdle stitch on Pinterest (seriously, what on earth did we do before Pinterest??) and had to try it. 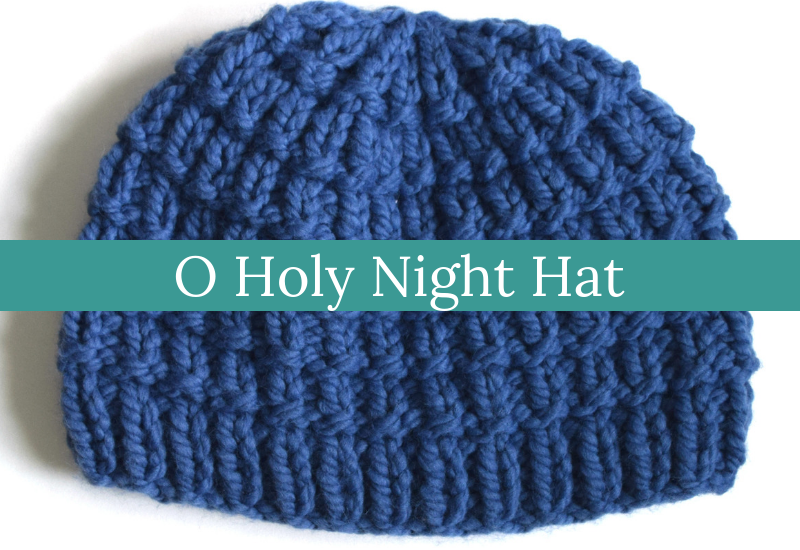 It’s incredibly easy, alternating knit rows, purl rows, and p1, k1 rows. 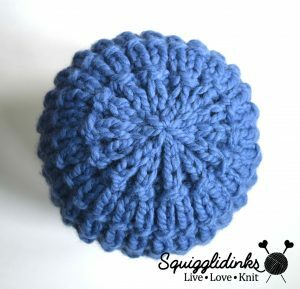 And the result is so squishy and gorgeous that I’m going to have to use it for a zillion more projects. 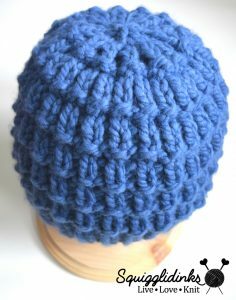 First, though, this incredibly cozy hat! 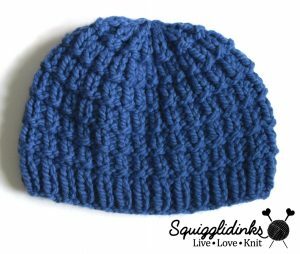 Yarns used: Big Twist Natural Blend (super bulky (6); 80% acrylic, 20% wool; 98 yards/142 grams), 1 skein of Natural Blend Marine Blue. Rounds 7-8: p1, k1, repeat to end. Round 10: p2, k1, repeat to end. Round 12: p1, k1, repeat to end. Rows 3-4: p1, k1, repeat to end. Repeat these 4 rows until scarf is desired length. Repeat Rows 1-2.